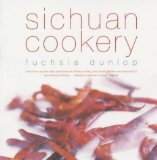 I was one of the food-writers invited by the Guardian to choose ‘The Best Food Books of the Decade’… and when they published the list today I discovered that the other panellists had put my first book, Sichuan Cookery (published in the US as Land of Plenty) in the Top Ten! What an honour. A very well deserved honour! I have a copy of your book here in China and my Chinese friends keep borrowing it – they are waiting for the Chinese translation! You deserve it- the book is very readable and clear and most of all-the recipes work-someone tested them!! To my knowledge the work is also ground breaking. I’d like to see an expansion into more vegetables in the next edition with, if financially possible, pictures of less well known vegetables. More than deserving of the accolade(s) received – a fine read, providing a much needed and welcome primer into one of the myriad of Chinese cuisines only casually hinted at by the monotone offerings available outside of the country previously (and reflecting the historical Cantonese-driven immigration to parts West). One could possibly suggest that you’d gone “native” vis-a-vis a William Golding-sensibility – albeit in a positive context/fashion. Congratulations. It is one of my all time favorites! I do second the expansion for some more vegetable recipes. Rightfully so !! Congratulations. I bought your book in 2001 and keep going back to it, to check things or read a little more. It is a classic ! Thanks so much for all the time you put into writing it! Thank you for all your lovely comments! I’m especially amused by what Liuzhou Laowai says about his Chinese friends!